The Bryce Funeral Home was founded in 1917 at 2188 Fifth Avenue in the living quarters of the late Lowell H. and Evelyn Merrick Bryce. Troy possessed innumerable funeral homes in those days of 75,000 population, with much competition. However, in 1936, Lowell purchased 1820 Fifth Avenue in downtown Troy, an authentic brownstone with iron fenced courtyard, providing his growing clientele a large mahogany paneled parlor and one of the first casket display rooms in Troy. A second brownstone at 1818 afforded an additional parlor when L. Merrick Bryce, Lowell's son, joined the firm in 1947. 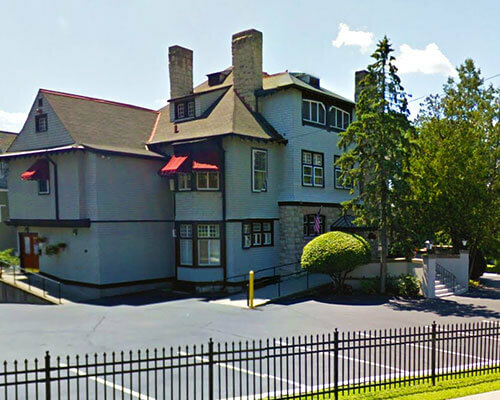 In the 60's when urban renewal changed the face of Troy, the Bryce Funeral Home relocated to its present Austrian-styled manor house at the corner of Pawling and Maple Avenues on the East Side. European rock oak woodwork, high ceilings, stained glass windows, fireplaces, and soft lighting create an ambiance soothing to families. Helen H. Bryce and son L. Craig Bryce joined the firm in the 70's as "How we do our work matters" continues to be the trademark for three generations of Bryce Family caring professionalism and service. L. Merrick Bryce passed away on June 3, 2006 and Helen H. Bryce, passed away on July 20, 2015. In 2007, our fourth generation was added to the staff when David Merrick Cluett became licensed. The DeGraaf Funeral Home was founded in 1910 by J. Elwin and Anna Rabie DeGraaf in their home on Route 150, just south of the 4 corners in West Sand Lake. Anna DeGraaf was one of the first female undertakers in New York State. In 1910, the traditional hearse was a horse-drawn coach which took much preparation to ready and, traditionally, was rented from a livery stable. In those early years, Elwin handled funerals throughout the Capital District. Visitation and funerals were held in private family homes, and many times services were paid for by bartering for hay and other goods or services. In 1959, Lowell H., Bryce and his son, L. Merrick Bryce acquired the business from the DeGraafs, renaming it “DeGraaf-Bryce Funeral Home, Inc.”, constructing the existing colonial building and large parking area at its current location just north of the four corners, and continuing the tradition of excellence begun by the DeGraafs. Elwin, introduced Merrick to the community by staying involved in the business for several years. The community had locations like Werger’s Gas Station at 43&150 where you could meet all the neighbors. 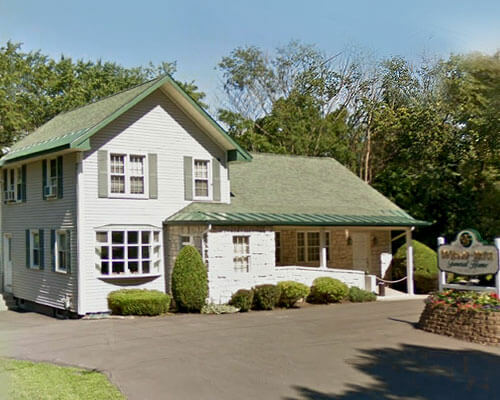 By 1959, many of the funerals were moving to the funeral home from private homes and Anna was happy to move the services out of her home to our new location, at 4392 Route 150. In 1973, L. Craig Bryce, moved to West Sand Lake to continue the business and lived in the apartment of the building for several years. In 2007, David M. Cluett, the great grandson of Lowell H. Bryce, became licensed and now resides in West Sand Lake with his family, continuing the 105 year continuous family business, with dedication to the community. From horse-drawn hearses to www.brycefuneralhome.com, the tradition advances every year with more personalized services including viewing personally produced video tributes online. Our love for the community and contribution to the community remains as strong as when the DeGraafs began.